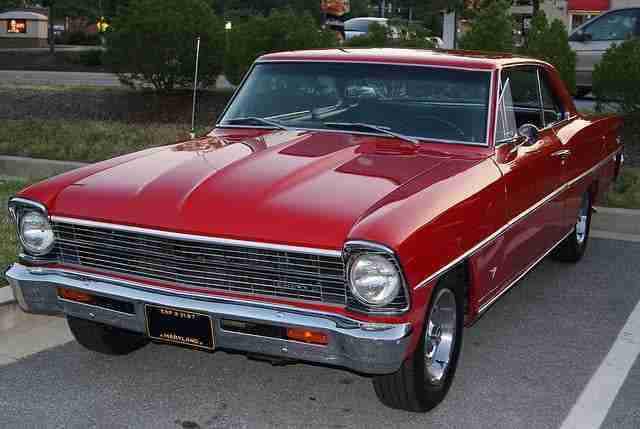 Look at the clean styling of this 1967 Chevy II Nova. Introduced in 1966, the second generation Nova was smaller and more subtle than most muscle cars of the day. It could be had with a 327 small block V8 producing 325 horsepower in a car that weighed only 2,700 pounds, almost 900 pounds less than a modern BMW coupe. Make mine a 4-speed, mount some 15″ Rally wheels on each corner with modern radials, disc brakes up front, a posi out back, and I’ll be a happy motorist. The value for a number 2 condition car (a nice driver that could be entered into local or regional shows), according to Hagerty, is valued at about $38,000, so they aren’t cheap. I would love to have one of these in my garage. I am really going to need a bigger garage one of these days.